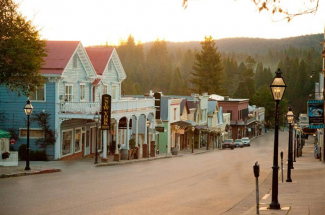 WELCOME TO NEVADA CITY AND GRASS VALLEY where the historic Gold Rush co-exists with our charming Victorian towns. Our beautiful Nevada County has so much to offer … scenic rivers, the back country trails of the Sierra Foothills, beautiful farmlands, forests, award-winning restaurants, quality repertory theater, museums, art galleries, antiques, world famous wineries, award-winning schools, nationally ranked Sierra College, first class health care with one of the highest number of Board Certified health care providers per capita, and so much more! Throughout its 150 year history Nevada County has held an important position in the modern sustainable growth of the Sierra Foothills and Northern California, while preserving its rich Victorian, Gold Rush history and traditions. Our economy is strong, we continue to grow in the retail trades, real estate, tourism, education, health care, and agriculture. We have a big emphasis on Green sustainability businesses. Nevada City and Grass Valley have become key parts of our continuing economic development. 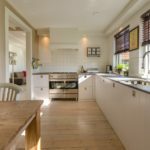 Nevada City real estate is diverse and very affordable. From exquisite historic Victorians to forest settings crossed by mountain creeks, Nevada City real estate has anything to offer. Grass Valley real estate is as diverse. Walk to town from a turn of the century bungalow or enjoy pastoral settings on Grass Valley’s ranch settings. Whatever the preference Nevada City real estate and Grass Valley real estate hold the perfect property for everyone! Dana Frederick of Network Real Estate is here to work for you in all your real estate needs in a relaxed yet professional environment! Come and see our beautiful Nevada County, enjoy the charms of our Victorian towns of Grass Valley and Nevada City. Come sample the bounties of our many vineyards and farms in Penn Valley and the San Juan Ridge. Let us show you around and you will never want to leave …. You will be home! 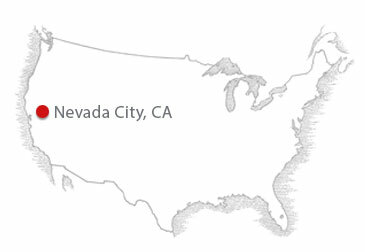 Our office is located in downtown Nevada City, California, where historic Victorian buildings and Gold Rush artifacts provide a backdrop for fine dining, delightful shops, and upscale galleries. Drive to the top of Broad Street, and pull right into the Network Real Estate private parking lot.